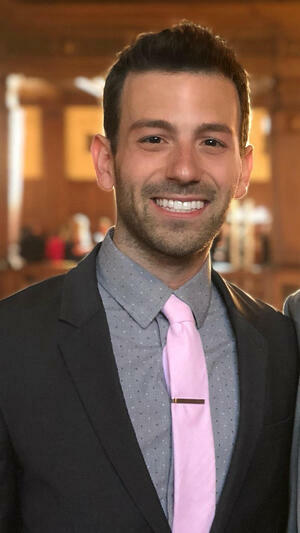 Dr. Matthew Raskin (DDS) graduated from Binghamton University with a bachelor degree in Biology and a minor in Spanish. He then received his masters degree in Biomedical Science with a concentration in Biological Defense from the University of Medicine and Dentistry of New Jersey before earning his doctorate at Indiana University School of Dentistry (IUSD). He served on IUSD’s executive board of the American Student Dental Association and also provided dental care for hundreds of children in need while on a service learning mission at an orphanage in Mexico City. Originally from Long Island, New York, Dr. Raskin has a slight New York accent that you may pick up on when he pronounces words such as: coffee, water, draw and orange. On his spare time, he enjoys traveling, relaxing at the beach & playing with his 3 pound Yorkie, Roxy. Dr. Raskin confidently approaches dentistry with a goal to educate patients on oral care and implement treatment to meet the needs of each individual patient.